Based on the Captain America: The Winter Soldier movie, here's The Falcon in Marvel Select scale! 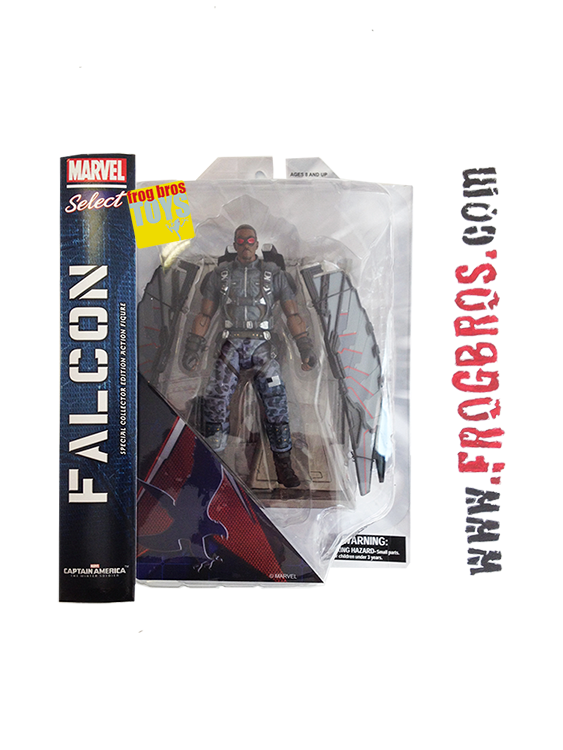 Standing approximately 7-inches tall, this Marvel Select Captain America 2 Falcon Action Figure ably depicts Cap's high-flying partner. Designed and sculpted by Gentle Giant, it features 16 points of articulation.